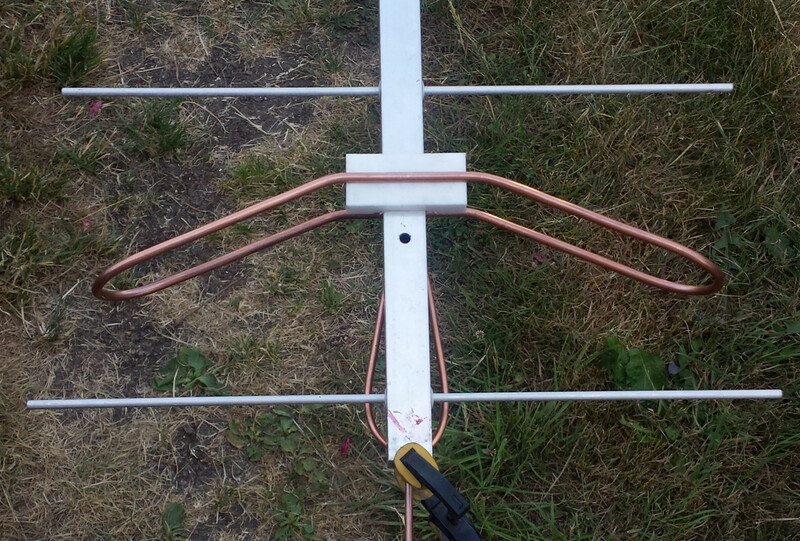 SM7THS Blog: Antenna rebuild finally started. 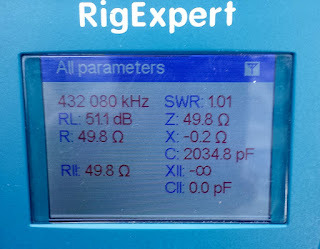 Now I have started the antenna rebuild now and it is going fairly well. 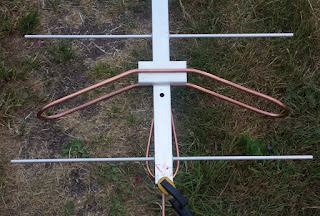 Measured all antennas and they are similar to each other and the cables seems ok too but they have been drying in the massive drought we have at the moment. Had 7mm rain for the last 2.5 month and all grass is burned and the leafs are falling from the trees. 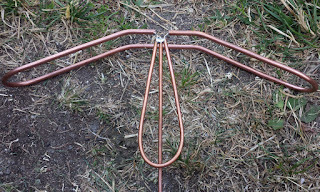 After testing the antennas I made a bent dipole to check how it behaves. 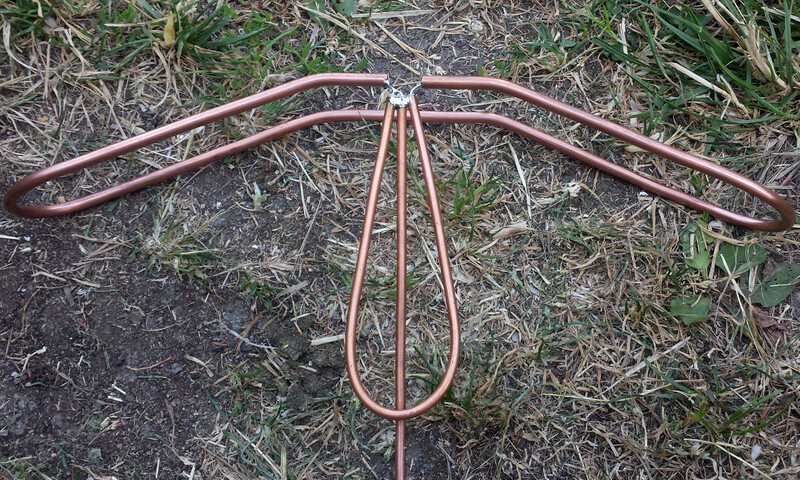 Did not find any 6mm copper tubing but 4.6mm so I built one with that and it worked quite well. 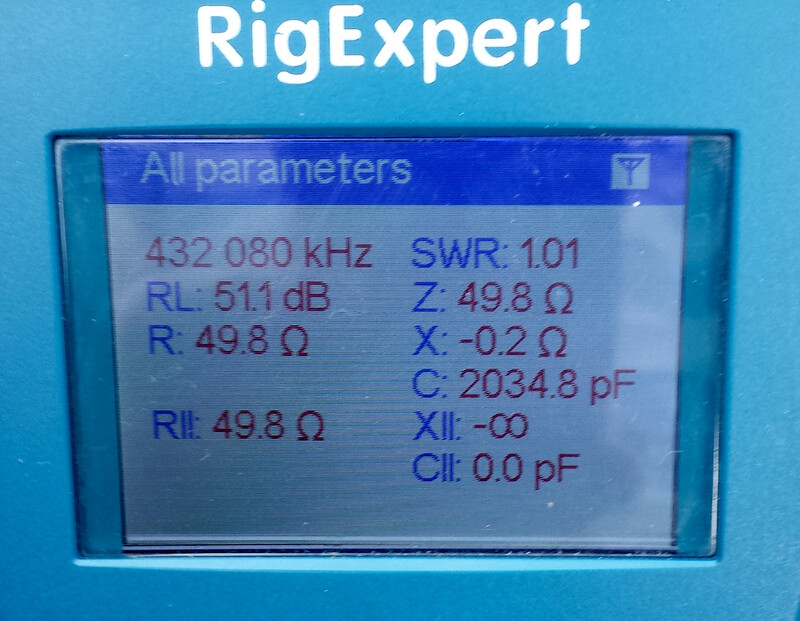 Made a 1/2 lambda impedance transformer and a 1/2 lambda feeding cable and tuned it to 432 MHz. With the dipole at the same position as the old one it needed som fine tuning of bending angle but the end results was very good and the same as the old. Resonance is close to exacltly as simulated and matching is very good. Earlier I removed the 6m mast and lowered it so I can reach the feeding of the 25 element yagis standing on the ground . Think its a good idea when elaborating how the feeding shall be. Needed to rebuild the base mounting too as it was not fully stable. Will continue the next few days cutting and tuning the elements for the vertical yagis and drill the booms as well. The garage has been locked due to a broken exhaust manifold on the Buick so I have not been able to drill any booms but that is sorted now thanks to my helpfull neighbor.